The frequency of fires and their area in the south of Europe will almost double in the next few decades, if humankind cannot keep global warming at 1.5 degrees Celsius. This conclusion was made by climatologists who published an article in the journal Nature Communications. “The results of our calculations, as well as the growing social and economic consequences of fires in recent years, suggest that we should radically rethink the measures that are being used to protect forests. Global warming can completely nullify these measures, and Europe should start preparing to powerful fires right now, “- said Marco Turco (Marco Turco) from the University of Barcelona (Spain). 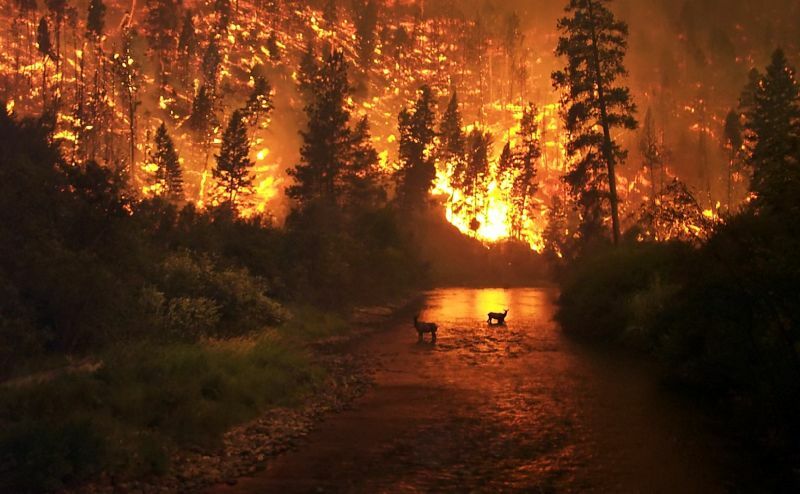 As the researchers explain, dryness of forests is extremely important for their fire resistance – the drier the forest litter and the less water is contained in the trees themselves, the higher the likelihood that accidental fires caused by lightning strikes or human activity will cause large-scale fires covering large areas. Global warming increases the dryness of forests, which, as some scientists now believe, can explain why the frequency of fires in Siberia and in California has noticeably increased in recent years. Turco and his colleagues decided to test how the situation in southern Europe would change, where precipitation was always relatively low, using data on fire frequency, soil moisture and other climatic parameters collected by NASA and ESA satellites. After analyzing this information, scientists have compiled a formula that allows determining the area and frequency of fires based on how often precipitation falls, how quickly moisture evaporates and how often droughts occur, and added it to several popular models used by UN experts today when assessing the effects of climate change. .
After checking their work on the already accumulated data on fires in Europe, scientists used these models to assess how the situation would change if the Paris Climate Agreement was implemented, and global warming would be kept at around 1.5 degrees Celsius, as well as with more negative scenarios. As these calculations showed, in virtually all cases the southern and central regions of Europe are awaiting the era of massive forest fires. Even in the most favorable case, the frequency of fires in the south of the subcontinent will grow by about 40%, and this process will most strongly affect the central regions of Spain, the south of France and the north of Greece. If temperatures rise by 2.5-3 degrees Celsius, then the frequency of fires and their scope will grow by an average of about 100%, and in Spain, Portugal and on the Iberian Peninsula, their frequency will increase by 2.5-3 times. Scientists hope that their calculations will attract the attention of experts from environmental ministries in Europe and their officials, and will serve as a pretext for creating a larger-scale and high-quality system of predictions and observations of forest fires.